I chose to read this book because it’s one that friends of mine often had to read in school, and because it was on the Rory Gilmore Book List. I’m ashamed of myself for not having read this earlier; as it is without a doubt one of the best memoirs I’ve ever read. Frank McCourt recounts, with startling detail, the events of his childhood from originally living in New York, to growing up, poverty-stricken, in Ireland. While the story on the surface seems to be a tragic one, McCourt recounts his life with dry wit and writes in a unique style making his story all the more enjoyable. In a way, I identified with Frank McCourt. Not in the growing-up-in-poverty-starving-needing-to-survive kind of way, but rather more as the oldest child. As the first born, Frank often faced situations that weren’t fair, but also often placed himself in the role of the protector. I loved this book, and regret that I didn’t have the chance to read it in high school. 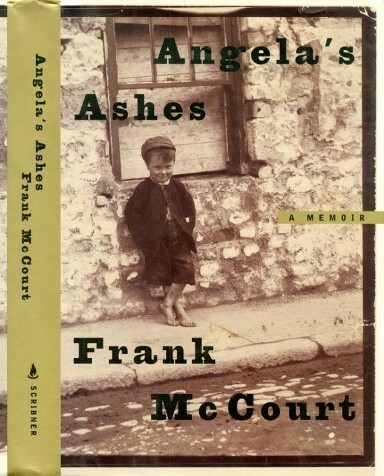 This entry was posted in Reviews and tagged Angela's Ashes, Book Reviews, Frank McCourt, Memoirs and Biography on April 7, 2014 by kwils3.